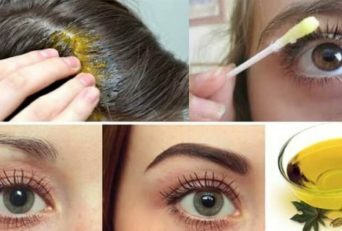 You are going to discover some of the best DIY homemade natural masks that will lift your face naturally.These skin firming facial masks work wonders without any side effect.It helps bring back the natural elasticity of the skin. Who doesn’t miss their teenage skin? During your teenage, the skin has the best texture. This texture goes on deteriorating as we grow old. Unfortunately, there is no way by which you can maintain that texture throughout your life. 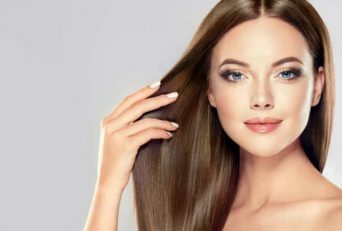 Don’t feel disappointed; there are certainly many ways by which you can keep the youthful texture for a longer period. As we grow old, our skin loses its elasticity. To understand why it does so, it is important to know what is elasticity. Just perform a small test, pull your skin, if it restores back quickly then your skin is elastic, else if it sinks slowly then you should know that your skin is losing elasticity. This means you are going to get wrinkles very soon. Our skin contains collagen which is a type of protein having a DNA structure. This collagen is responsible for tightening of the skin. As we age, we lose collagen, and hence our skin loses its elasticity or youngness. There are many other factors apart from aging which leads to the decrease of collagen. This is the best suggestion anybody (including doctors and World Wide Web) can give you for skin tightening. This facelift mask works magically on skin and suits all skin types. It not only lifts your face instantly but removes age spots, dullness, and pigmentation. All you require is Egg White. First of all, you need to break the egg. Now separate the white and yellow parts. Apply the white part on your face and neck and let it dry. Once it has dried, then rinse it off. Try to use lukewarm water while cleaning. If you want to make the best out of this mask and have some extra time, then add vitamin E drops and half tsp fresh lemon juice to it. You will be amazed to see the instant results. The only drawback with this mask is the foul smell of eggs. There are also some people who do not prefer using egg. So for them don’t worry we have a lot more. As the name says, for this mask you will require one tsp yogurt and one tsp fresh lemon juice. You will be surprised to know that this mask prevents acne and blemishes as well. Mix the ingredients in a bowl and blend them well. Apply this mixture evenly all over your face and neck. Let it dry. It will take about 20-30 minutes to dry. Meanwhile, you can put cucumber slices over your eyes and relax. Once the mask dries, rinse it off with lukewarm water. Moisturize your skin with any oil-free moisturizer for the best-looking skin. Before you apply this mask, make sure that you have cleaned your face properly with a cleanser of your choice. Cleansing helps to open the clogged pores and hence leads to better results. Always try to use lukewarm water with any mask. Well as delicious the name is, so are the outcomes. For this firming facial mask, you will need cream and banana of course. One ripe banana along with a quarter cup of heavy whipping cream will be sufficient. Now if you think what is heavy whipping cream then here is the answer. It is usual whipping cream with more milk fat content (36-40%). Mash the banana correctly, and mix it with the cream. You need to make a thick paste out of it. Apply this paste all over your neck and face and let it dry. It will take about 15 minutes to dry. After that wash it off with a damp cloth or lukewarm water. Here is a tip which you can use along with these masks to increase its effectiveness. Add a capsule of vitamin E to your mask and the mask will give improved benefits. Vitamin E is an active ingredient of all the artificial anti-ageing masks, so you can buy a Vitamin E capsule from the market and use it. As I mentioned earlier, egg white is the best component for a face lifting mask. This mask will be an extension to the classic egg white mask. Here you will require honey, flour or fullers earth (Multani Mitti) and if you have dry skin then glycerin as well. First of all, your task is to separate the white and yellow part. For this, you need to break the egg and then extract only the egg white. Now mix all the other ingredients to egg white. You have a choice between flour and fullers earth; you can use either of them. If your skin is dry then you can add glycerin to this mixture. Now mix them well and make a paste. Apply it all over your face and neck. Let it dry and then remove it with lukewarm water. 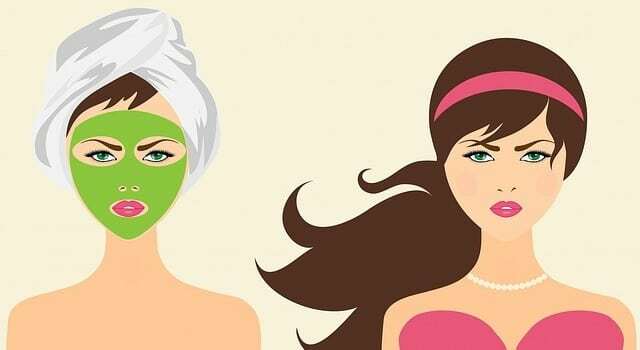 If you are using this mask in summers then I would suggest you use Multani Mitti as it gives a cooling effect. It removes blemishes and also lightens your skin. But this is not advisable for people with dry or sensitive skin because Multani Mitti draws away the oil from the skin, so for such people prefer flour in place of fullers earth. For people with dry skin, use glycerin too. Using Multani Matti can cause slight tingling sensation but it’s completely normal. This is probably one of the rarest masks where you need egg yolks instead of the whites. Anyways here you will need two egg yolks, fresh lemon juice, and one tsp sugar. Beat the two egg yolks and add sugar and a tsp of lemon juice to it. Beat it to mix them properly. Now massage and apply it over your face and neck. Let it dry. After 10 minutes rinse off the mask with lukewarm water. Whenever you massage any mask over your face, use the tip of your fingers and try to use a circular motion. This is the best way to massage. This, as you can guess is a slight variation to the previous mask. Here you will need egg white, sugar, and yogurt. Beat an egg and separate the white part from the yellow part. Take 1 tsp yogurt and 1/8 tsp sugar in a separate bowl and mix them thoroughly. Now add the egg white to this yoghurt mixture. Sugar is well known for its exfoliation properties.Yogurt is also very good for the skin. So all these packs remove blemishes and dark spots along with lifting the skin. 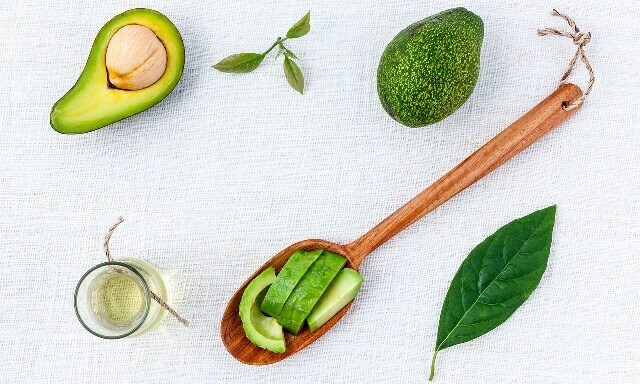 For this DIY facelift mask, you will need avocado (fruit) and two tsp honey. Honey works as a cleansing and moisturizing agent while avocado is known to build up collagen in your skin. And as I mentioned before, collagen is very necessary for skin tightening. Take out the pulp of the avocado fruit and mash it properly. Add honey to the mashed pulp and make an even paste out of it. Apply and massage the paste all over your face and let it dry. Make sure the paste is thick. It will take more time to dry. Meanwhile, relax your facials muscles. After it has dried, rinse it off with lukewarm water and pat your face dry. This is a very fresh and active mask especially for loose skin under the eyes. I will recommend using this mask in summers. For the same, you need a chilled cucumber, fresh lemon juice, and egg white. Peel the chilled cucumber and blend it until it becomes mushy. To this add one egg white which you will have to prepare in a separate bowl by separating the white and yellow part. Now add one tsp of fresh lemon juice. Mix all the ingredients well. Apply this cooling and tightening mask over your face and enjoy it while it works over your skin. Leave it for 20 minutes and then rinse it off with lukewarm water. Pat it dry. Blueberries are filled with antioxidants, which is very good news for your skin. Antioxidants can fight against free radicals which are also a major cause of your wrinkles. Honey cleanses and moisturizes your skin. So overall this mask removes lip lines, wrinkles and gives you a natural looking skin. For this mask, you will need fresh blueberries and unprocessed honey. Take 1/4th cup of fresh blueberries and blend then to form a fine paste. Now take honey and apply it on your face. Over this thin layer of honey, apply the paste of blueberries you made. Leave this for about half an hour and then rinse it with lukewarm water. Cabbage is the major ingredient of this mask.Reason being cabbage contains many vitamins and minerals which help to tighten your skin. You will need about five tsp of chopped cabbage, one egg white, and three tsp rice flour. Mix finely chopped cabbage and rice flour. Make a paste out of them while mixing with hand until it becomes smooth. Now add egg white to it. Now blend the entire mixture in a mixer or blender to form a smooth paste. Apply this paste over your face and let it dry. Rinse the mask with cold water and pat dry. You might be aware of the goodness of papaya when it comes to skin. So here is another benefit, it helps to lift your skin naturally. For this mask, you will require one ripe papaya, 1/4th cup of rice flour and two tsp of honey (optional). You can add honey for moisturization and cleansing. Take the papaya pulp and mash it finely. Add 1/4th cup of rice flour and blend the mixture to make a fine paste. Finally, add honey to it and mix it. Apply the mixture over your face and keep it for 15 minutes or until it dries. Rinse the mask with lukewarm water. As I mentioned above, Cabbage is a rich source of vitamins and minerals which are good for the skin. Yogurt brings about shine and youthful look while honey cleanses and moisturizes your skin. For this mask, you will need three cabbage leaves, two tsp honey, ½ cup yogurt and almond oil (for dry skin). Make a paste of cabbage leaves in a blender or food processor. Add honey and yogurt to the blended cabbage. Mix the ingredients evenly. Add almond oil only if you have dry skin. Apply this mask all over your face and let it dry for about 15 minutes, rinse with lukewarm water and pat it dry. This is probably the simplest skin tightening mask which you will find in this article. You only require two tsp lemon juice and two tsp olive oil. 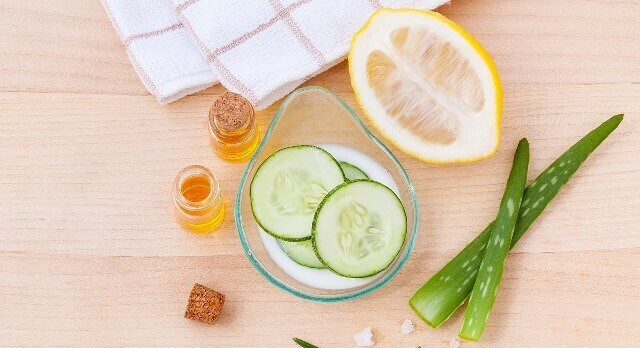 Olive oil has properties that make the skin firm, and lemon juice, as you know, cleanses the skin.In this way, you can get rid of acne as well, so this is worth a try. Mix all the ingredients and apply the mixture on your face. Leave the mask for about 20-30 minutes and rinse it off with lukewarm water. For this mask, you will need ½ cup milk containing cream and two tsp of fullers’ earth. This pack makes the skin soft and supple along with tightening the pores. Mix the ingredients in a bowl to form a smooth paste. Apply this paste all over your face and neck and let it dry. Wash it off with lukewarm water and pat dry to obtain a child-like soft skin. This mask will let you experience an instant tightness in your skin as soon as you rinse it. All you need is apple cider vinegar which you can prepare at home. If you want, you can buy it straight away. Making the vinegar is a longer process, but it’s entirely up to you. Take apple cider vinegar, and add it to water (quantity of water should be double than that of the amount of vinegar. Ideally we prefer ½ cup water and 1/4th cup vinegar). Mix them and apply it over your face. Let it dry and rinse off with lukewarm water. Strawberries are being used for the betterment of skin since a long time. Lemon juice is a very powerful cleanser and acts as a natural astringent. When both of them are combined; they form an excellent dose of vitamin C rejuvenating your skin. For this mask, you will need, a quarter cup of fresh ripe strawberry pulp, ½ tsp of fresh lemon juice and three tsp of cornstarch. Take strawberries and cut them into pieces, blend these pieces to form the fruit pulp. Add lemon juice and cornstarch to it. Now mix the ingredients to form a fine paste. Apply this paste over your face and let it dry for 25-30 minutes. Wash the mask with lukewarm water and pat dry. Another very effective home remedy is pineapple cube. For this, you will need fresh pineapple juice. Take pineapple juice in an ice tray and let it freeze overnight. After you have made pineapple ice cubes, rub them over your face and keep it for 4-5 minutes. Rinse off after it has dried and felt your instantly uplifted skin. This technique is tested by facialists and has proved to be effective. 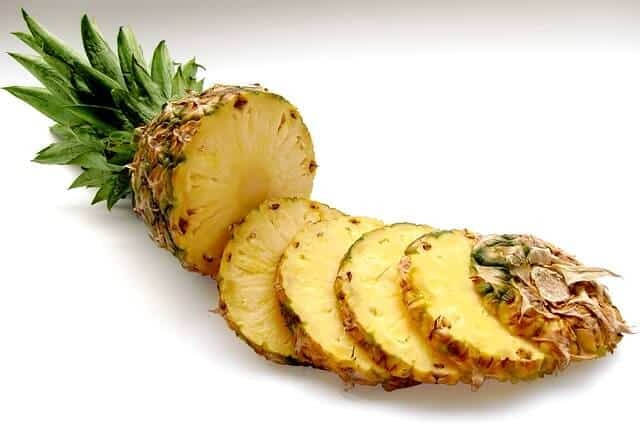 Pineapple helps to maintain elasticity and firmness of the skin. It is advisable that you use facial masks once a week for best results. Now I feel you have sufficient choices according to your skin type, the time you have and the ingredients you have at home. Now let me tell you some tips by which you can make your skin look younger. You can also try facelift masks. 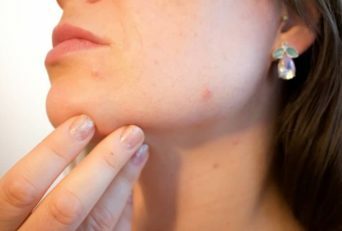 These are the alternative to lifting your face skin without going for surgeries. A good shape of your eyebrows can hide away your saggy eyes; I will recommend arched shape. 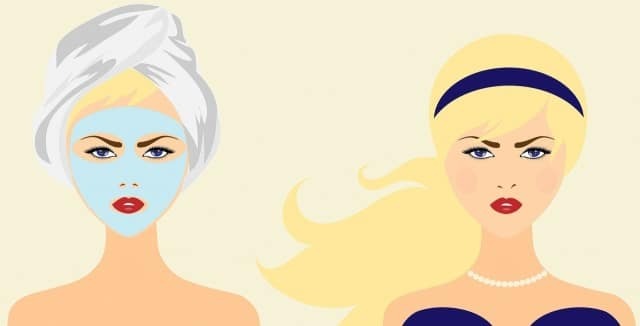 Massage your skin once in 2 weeks and apply any masks once in a week. Lift your corner eyelashes by curling them. This is done before you apply your mascara. Exercise your facial muscles for them to stay healthy and tight. 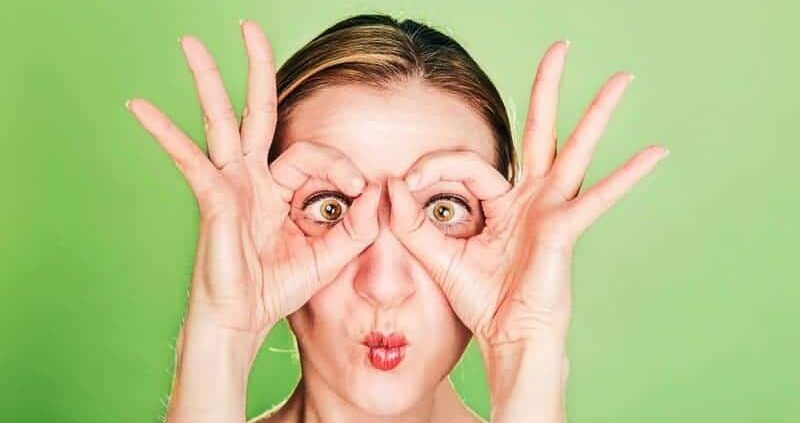 You can go for face yoga, daily. Working a bit on your skin can yield desired results. I hope all these suggestions will be beneficial to you. Do not forget to leave your comments. Stay Natural! !